Planning your quinceañera party on your own is quite possible when you’re aware of the duties upon you and ready to take the responsibility for them. 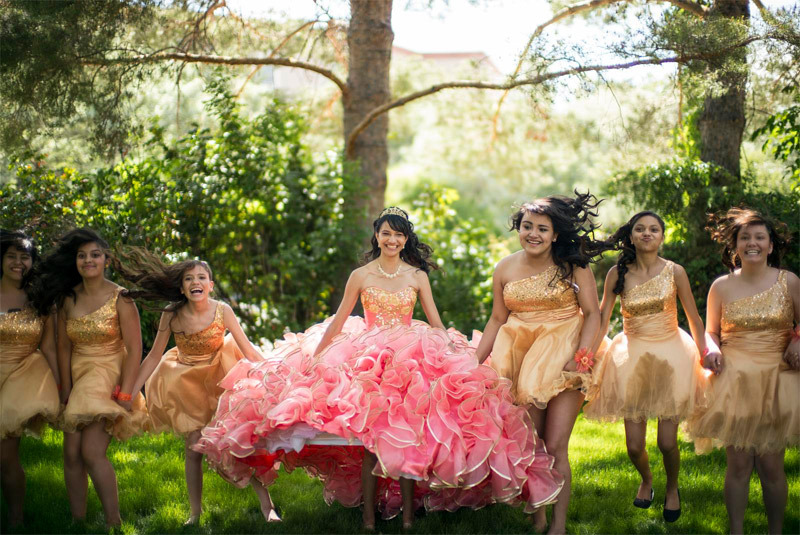 The quinceañera tradition refers to a girl passing into womanhood. Actually, it’s being held as fifteenth/sixteenth birthday celebration party but nowadays, even traditions are judged according to the comfort. So, even old traditions can be varied concerning with their time and shape. These tips will direct you in planning the quinceañera party on your own. Stay alone with your imagination for a while and start dreaming about YOUR perfect Quince. What do you see? Who do you see? Where are you? What clothes have you worn? The sincere answers of these simple questions will draw the picture you’re truly fond of. You can find out for you the capacity and possibility of turning the reel in your mind into reality through them. Well, in a point like this you can’t stay alone, anymore. So, you’ll need to discuss the arrangements and available budget for upcoming quinceañera party with your parents or with those people who are going to pay for it. Don’t be shy or modest to tell your parents how you would really like your party to look like. Regardless of the results, be sure that your parents would be happy to make even a better party for you that you could ever think of. So, remember this and do not be the opposite of a too modest child, the greedy and capricious one who can’t compromise even with her own parents. The start of preparations and arrangements can be clearly identified when the style and size of your quinceañera are identified already. Firstly, realize the style. Do you want to have a traditional ceremony at church? If it is so, then you should also care about choosing your chamberlains and maids of honor. Style here is not only about the way your ceremony will be held but also about the style your ceremony participants are supposed to appear in. That’s why style is primarily connected with size. In case you long for a huge party with all modifiers and details than all of them should be carefully considered ahead. They will indicate the suitable date you are to begin preparations and the date of the event, as sometimes it’s better to choose a day different from your birth day to have all your invited guests present in your quinceañera party.